The Louisville and Nashville Railroad was a key cog in the Union logistics effort in the Western Theater during the war. L&N President James Guthrie realized this immediately and made many demands of the U.S. Government during the war, demands which were mostly granted. As a result, Guthrie’s railroad not only helped the Union war effort, it also made it’s investors millions of dollars. Critics accused Guthrie of putting profits over patriotism, but the fact remains that without the support of Guthrie and his railroad, Union efforts in the west would have been severely hampered. 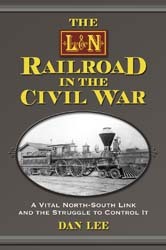 The L&N Railroad in the Civil War will appeal to railroad historians and those interested in Civil War logistics. Guerrilla operations against the L&N are also covered for those interested in that portion of the fight. This book joins a growing number of monographs focusing on specific railroads during the Civil War. See The Charleston & Hamburg: A South Carolina Railroad & an American Legacy and Vital Rails: The Charleston & Savannah Railroad and the Civil War in Coastal South Carolina for other recent titles. The Louisville & Nashville Railroad was completed just as the first salvos of the Civil War erupted. As one of the few railroads linking the North and South, the L&N was valuable to both the Union and the Confederacy. Consequently, its route became a fiercely contested corridor of fire and blood. 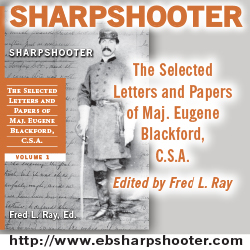 This history recounts the numerous military events along the L&N in the years 1861 through 1865, and also examines the still-resonant theme of the relationship between a major corporation and the government during a time of national crisis. Dan Lee has degrees in history from Murray State University and Western Kentucky University. He lives in Hardin County, Kentucky.